This hotel is only a short walk from the Cornhusker Marriott. 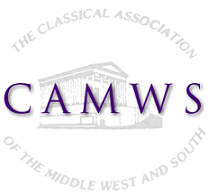 Book your reservation by calling the Embassy at 402.474.1111 and requesting the CAMWS Overflow 2019 block. The group code is CAM. All rooms are suites and include breakfast. The hotel recommends Chrome to book reservations as Internet Explorer sometimes has trouble loading the weblinks. These rates are good until MARCH 1ST.. After this date, any remaining guest rooms will be released back to the hotel to sell. Anyone calling after that point will be told that the block is unavailable and offered the hotel's standard nightly rate.